Just in case you think I only write about national anthems, below are a few things I’ve done recently that couldn’t be more different. And here for The Guardian is an interview with the man growing that dope, the CEO of the brilliantly-named Internal Cannabis Corp. It’s a more fun read than it sounds. “How about some music?” I don’t hear you ask. Well here for the New York Times is a piece on the British musicians who’re remaking the world’s oldest instruments. It contains some amazing sound clips of a 30,000-year-old vulture bone flute and a carnyx, and I highly recommend you click through. And here, again for The Guardian, is a somewhat odd piece on Radiohead’s business empire, for which the band wouldn’t comment. Which says it all, doesn’t it kids? [“No, it doesn’t. Stop insinuating things about my favourite bands tax affairs”]. There will be some other pieces appearing soon, including one I did on my trip to Antarctica for British Airways’ High Life magazine (how appropriate a name given the cannabis pieces). I’ll try to remember to post those when they appear. Dumbwalking is what you do when you’re staring at a smartphone and end up falling over someone’s bag and knocking your teeth out. It’s also the number one threat to Japanese society as we know it! Here’s a piece about it I recently recorded for the BBC’s excellent From Our Own Correspondent programme. You can also read about it on the BBC’s website. I basically spent a night trying to trip people up at the Shibuya Crossing in Tokyo. Yes, I’m surprised I got paid for it too. 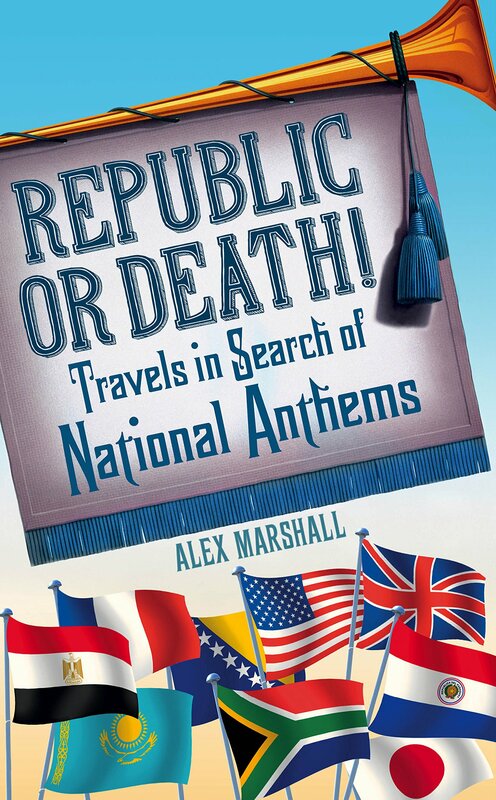 Sorry this has got nothing to do with national anthems – the point of this blog – but I made this on a recent trip to Japan to research the country’s anthem so it’s, sort of, relevant! One fact I forgot to mention in the piece is that Japanese newspapers publish “death by smartphone” statistics giving running counts of how many people have been run over while updating their Facebook status. Seriously. I’m sure newspapers in other countries will be doing the same soon. The woman in the photo is NOT a dumbwalker, by the way. 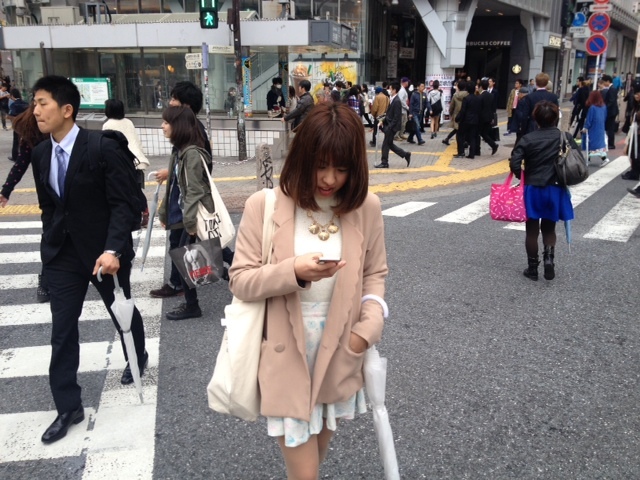 She’s just a very nice person I met at Shibuya and was happy to pretend to be one for me! Sorry, that headline should read, “A kids’ pupeteer, the most right-wing politician in Switzerland and a former head of the World Bank all appear in this article I wrote for the New York Times on Switzerland’s competition for a new national anthem.” But it wouldn’t have been as snappy. It’s the only article you’ll ever read about the contest revealing the rows going on in the jury because, er, they’ve now been banned from talking to journalists. Think that’s my fault. One thing the piece doesn’t mention is that anyone can enter the contest. Yes, even you! You don’t have to be Swiss, have lived there, or even bought an overpriced beer in a Zurich cafe. You just have to be able to speak French, German, Italian or Romansch. So good luck to you all!